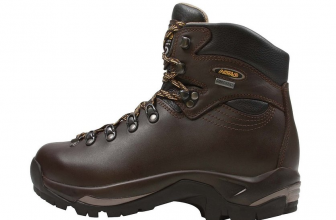 These boots are amazingly waterproof, take well shocks, and in return offer comfort, grip, flexibility, stability, ankle support, good fit and protection against the elements. They keep you warm in late fall and the mild winter, dry in the hot summer and stay with you on the long distance backpacking hikes. The 3 season boots that you can even take in your swimming pool! When you hike as much as I am, wearing the right hiking boots is the no.1 thing to do when going outdoors. And I don’t hike only in the summertime, but also when it’s cold and I even started to try some ice climbing in the winter. So I always take it a little bit farther, as I try to overcome new limits, all the time. As my last pair of hiking boots wore out, I had to go shopping for new ones, but I did some reading beforehand, asked around and then decided which brand to go with (I also wanted to have a new brand). I liked the appearance of these boots (the blue shades are so warm) and they seemed to be so solid and sturdy, and generally be perfect for what I wanted, so I got them. I did have to break this boots in- if you consider a 20 mile hike to be a run to break in some boots. And I had no blisters whatsoever afterwards. The boots are not made of leather, it’s some Schoeller fabric and this is why the boots get soft instantly, I guess. 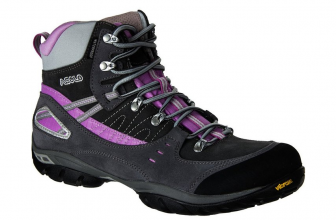 The boots are extremely waterproof and breathable- so no warm or wet feet while wearing these. I even tried them in my pool, just to check what waterproof means to this brand. Yes, there is no water coming through!! The boots are 3 season boots, but they can work in the mild winter time also- not the very cold ones, though. I did some ice climbing in these as they are strap-on crampon compatible and they held up so well. The shock absorbency is also amazing thanks to the heel insert and the highly supportive midsole. This midsole is made of dual density rubber, hence the support it gives. The tall rubber rand makes the boots work in snow, on rocks, surface roots. 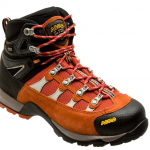 The boots are extremely comfortable, especially in the heel and the Achilles areas. There is no heel slip either in these boots. The boots are flexible, sturdy and give nice ankle support. The lace works just fine and the boots fit snug on the feet, without being too tight. There is good cushioning in these boots and this only means more comfort. The boots give also good protection against the elements, as there is no way for small rocks, debris or roots going inside of them. 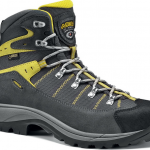 The fabric of the boots is Gore-tex lined and also highly resistant to any abrasions- as I found out while hiking on sharp rocks. The temperature control is good inside the boots and my feet don’t get too hot in these. 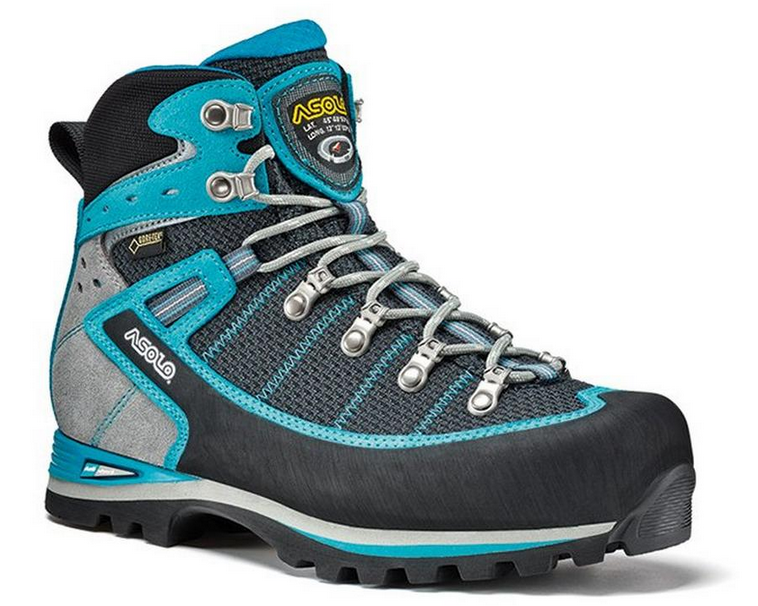 The boots shine the best in long distance hikes, while heavily backpacked (even with up to 40 pound loads). Some minor things bother me at these boots. First of all, even though this brand provides high quality products, it’s difficult to get reviews and info about the products. So they should work better on promotion, I think. The footbed liner is way to small and I would have liked something else, but not Cordura lace eyelets. 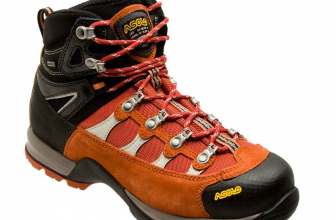 All in all, I like and use these boots a lot and I am telling all my hiker friends about them, even though they are not the cheapest on the market. They’re not the most expensive either. In my opinion, they’re totally worth every penny.